Jungle Red Writers: Just A Smudge--Can that work? HANK PHILLIPPI RYAN: Can you foresee the future? Can anyone ? How? And can the past be... erased? The fab Judy Penz Sheluk—from up in Canada! Hurray!—takes us down a fascinating and mysterious path today. She explains how she went from skeptic—to, well, let her tell it. Where do I get my ideas? From everyday life. Such was the case the day I walked into a quirky little gift shop attached to a large natural foods store. I was there to purchase a white sage smudging stick, and feeling a bit ridiculous about it, if I’m being completely honest. But my husband, Mike, and I had purchased an old house and my hairstylist at the time (who is also a death doula and a yoga instructor, but that’s a story for another day) told me smudging was an absolute must. Anyway, among the sage, crystals, talismans, and tie-dyed t-shirts there was a section on tarot. 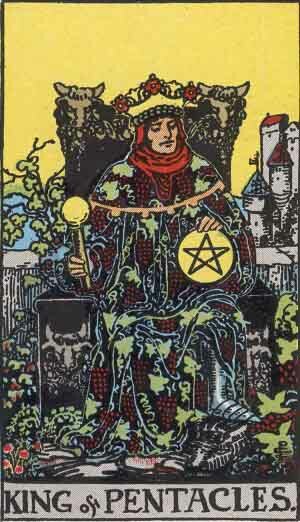 I found myself inexplicably drawn to the vibrant images on the Rider-Waite deck. What can I say? I walked out of the store that day with a smudging stick and a deck of tarot cards, along with a book on how to read them. To say that I was naïve is putting a gloss on things. Several sample readings, online research, and how-to books later, I was no further to being an accomplished tarot card reader than I was ready to become an astronaut. 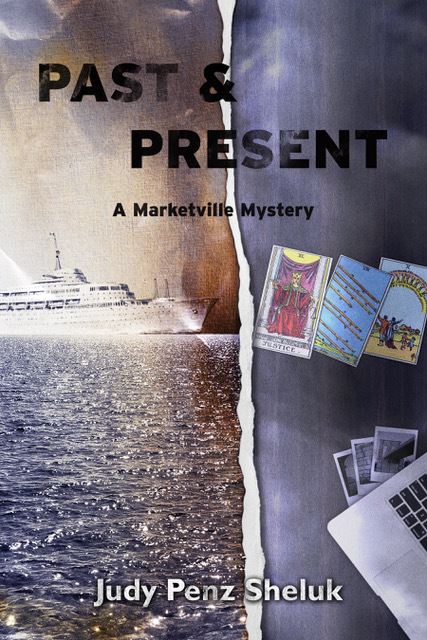 And that’s when I knew it would work in my (then current) work-in-progress, Skeletons in the Attic, the first book in my Marketville Mystery series. While searching the house she inherited from her father, my protagonist, Calamity (Callie) Barnstable would find five tarot cards, and those cards, in addition to a basic understanding of the principles behind them, would be a matter of individual interpretation. Callie, who is at best a skeptic, and at worst, a complete non-believer. But Callie’s just started her own company, Past & Present Investigations, and she’s been hired to look into the death of a woman who’d been murdered in 1956. She knows she needs help, and so with some reluctance, she brings in Misty Rivers to join her team. Maybe Misty was psychic after all. Judy is also a member of Sisters in Crime International/Guppies/Toronto, International Thriller Writers, Inc., the South Simcoe Arts Council, the Short Mystery Fiction Society, and Crime Writers of Canada, where she serves on the Board of Directors, representing Toronto/Southwestern Ontario. Happy book birthday, Judy! “Past and Present” sounds like great fun; I’m looking forward to meeting Callie . . . . Although I’ve never known anyone with the ability to foresee the future, I’m definitely not doubting the possibility. But I’ve never done the tarot card readings . . . or the smudging . . . .
Hi Joan, thank you for stopping by. The smudging is interesting. I don't know if it works, but...I did smudge the office I wrote this book in! So...maybe? I have never heard of smudging, nor have I ever done a tarot card reading. Like Joan, I have never met anyone who can predict the future. I like to keep my mind open about the possibilities though, and reading about such talents is always fun no matter what you believe! Hi Marla, it's always good to keep an open mind. My mother had a saying, "Never throw never far away, because you'll have to pick up never some day." I love that saying! I didn't smudge my house when I moved in four years ago, but maybe I should have. I have asthma, so smoke and I do not mix, but there are days when I wish I could banish the bad energy and welcome in the bright, positive, and creative. Maybe if I direct all the negative energy into the dog hair, then vacuum it up and throw it away? I am what I think of as a practical pagan. I love all the woo-woo stuff, but I don't always take it seriously. I have a well-worn tarot deck but I see my interpretation of the cards as a window into what's really on my mind--more of a Rorschach test than a glimpse of the future. So here's my advice. Find a pretty tumbled stone at the metaphysical shop that you just don't want to put down? By all means, spend the $2 and carry it in your pocket for a few days, to remind you of what you need to remember, whether it's to be strong or to be more open and giving. Irresistibly drawn to the pretty illustrations on a tarot deck, or "animal avatar" pack, or box of "spirit guide" cards? There might be new insight, or a new book, in them! At the very least you've supported a local business. I don't know if anyone can see the future, but I do believe there are a lot of different ways to get in touch with your deepest emotions, and learn a bit more about yourself and the world. That's what the things you find in the metaphysical shop are good for. I agree with you, Gigi! These metaphysical things can be held lightly and used to give us an insight to our own inner wisdom. As for your directing the negative energy into the dog hair and vacuuming it up, yes! Why not! Quite seriously. I think I'll try it. The worst that can happen is that I change my outlook a little and get rid of a lot of dog hair. Gigi, the smudging smoke is very light (but it smells quite sweet). You may be able to do it (maybe wear a mask??) I believe the smudging works. After, you bury the smudge stick in your yard. I love your advice on the stone. Shall do that! Keziah, you are so right about the metaphysical. I'm definitely in on putting the negative energy into the dog hair before I vacuum it up. This could be life changing for me with my German "shedders", lol. I don't have a lick of experience with tarot, but I did read both the new book and the first in series and loved them both! Waving hi to Judy (who is also our guest over on the Wicked Authors blog today, talking about a superior retreat she went on). Thank you, Edith (who also provided a fabulous blurb for the back of the book!). I cannot believe I am lucky enough to be on both JRW and the Wickeds. Pinching myself! OK, this is quite a coincidence - or maybe not...ha! I finished my current read last night and when I was deciding what to pick up this morning I noticed that I had SKELETONS IN THE ATTIC on my Kindle. Unread as yet (story of my life). I'm doing a 'spooky' read challenge until the end of October and thought that the title alone fit the 'spooky' test. Just read the first few pages. Then came here and lo and behold, here's Judy and the next book! Lovely! As to tarot cards and smudging - well, I'll say I'm not a believer, but I do think all these things are fun. I've noticed lately that tarot cards have appeared in several books that I've read. They are not a huge part, but certainly a component - also, blackbirds or crows or magpies. Funny how certain themes occur over and over. Judy, happy book birthday! I suspect I'll be ordering this second book before long. Good luck with it! Hi Kay...well...you started reading Skeletons and here I was...there are no coincidences! Hope you enjoy Skeletons. Thank you for ordering it. And I know what you mean about the Kindle. I've started reading a book by Susan Van Kirk that I likely bought 2 years ago. Hello from a sister Canadian, Judy, and happy book pub day! The Canadian Encyclopedia explains smudging this way: "Smudging is a cultural ceremony practised by a wide variety of Indigenous peoples in Canada and other parts of the world. Although practices differ, smudging is used for medicinal and practical purposes as well as for spiritual ceremonies. The practice generally involves prayer and the burning of sacred medicines, such as sweetgrass, cedar, sage and tobacco. While colonization has repressed such traditions, the practice of smudging has survived to the present day." Hi Amanda, lovely to meet a fellow Canadian -- where do you hail from? I was born and raised in Toronto but have lived in small towns since I was about 18 -- all within a couple of hours drive from Toronto. Thank you so much Cathy! I really appreciate it. I hope you enjoy it. And yes, the death doula...it's a topic for another book, perhaps. Great to see you here, Judy. No more sleeps until pub day! Thanks for sharing on SinC TO Susan! Congratulations on your new release! I look forward to reading it. No smudging or tarot cards in my past though I'm open to trying new things. Trying new things is the best way to learn, right Margaret? thanks for stopping by. Hi Hank, thanks for hosting me today. Enjoy the Book Festival. I'm doing Word on the Street Toronto on Sunday -- it's a HUGE book festival. 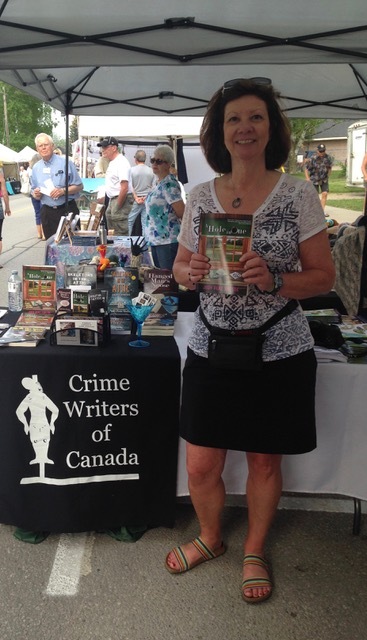 I'm there with Crime Writers of Canada. Judy is reading all of this and TRYING to comment--she'll persist! But she says hi and she'll be baaackkk..and watching! I've been having trouble commenting lately too. Usually my comments just disappear. Sigh. Gotta love technology. FINALLY -- I did some googling and it seems to be an issue with Safari, which is the Mac browser, so I switched to Chrome. And here I am!! Marla, maybe you can try another browser. Not sure if you use Safari. Thanks for the tip, Judy! I do typically use Safari. I wonder if they updated something recently because I don't think this was an issue for me before a couple weeks ago. Who knows? Happy Friday! It used to work for me, too. So probably something Safari has done. I've never had a tarot reading and I'm a firm skeptic on predicting the future. The few times I've tried it, I found it too...hokey and general to be of much use. But hey, I'm willing to be convinced. Hi Mary, yes, I would say that 95% of psychics are frauds. But I do think there are people who might have some ability. Callie, my protagonist, is definitely a skeptic! I'm mostly with Gigi on this--the tarot and other forms of metaphysical woo-woo can be a great way to gain some insight into your own needs. But, there's a lot we don't know about the world. I used to go to a card-reader--I tagged along with a friend. This woman lived in a town an hour away--you made the appointments by phone--no names were given, you simply showed up at your appointed time and waited outside her house until her current client came out (and there was always someone with her). And you paid cash. When I had a reading with her, she shuffled her cards, laid them out, began talking. About Machu Picchu and Peruvian archaeology. Right--like I was EVER going to be involved in archaeology there. Many many years later, I was hired to teach a class in a new archaeology program--whose director just happened to be co-director of a heritage tourism program that was based in Peru and included tours of Machu Picchu. Just a coincidence, surely. But a little odd. And Gigi--go ahead and smudge that house--or have someone do it while you're away. And congratulations, Judy--love it when I find another new-to-me author! That's so cool, about the Machu Picchu connection. Who knows what that is all about? But it feels good to think about.... As you say, there's a lot we don't know about the world. Hi Flora, that's a great story. I will say when I was a teenager, I went to a similar type of fortune teller. She told me I'd marry a man with the initial M and live in a house near a river in a gray brick house shaped like an L. Well, I didn't get married until I was 34 (much to my mother's chagrin) but his name is Mike and we bought a gray brick ranch-style house that looked like an L (because of garage) and the Holland River was across the street. So...who knows, right? Hi, Judy (waving!) - You don't have to believe in tarot to love the idea of tarot cards as a clue, because they make a great clue: why did the person save those particular cards? I love it. In live, as opposed to in fiction, tarot cards go in the same bin as horoscopes and ouija boards. If I wrote a mystery with them, the main character would be the great debunker James Randi's righthand man. Waving back, Hallie. I love your concept...you should go for it! As the author of The Reluctant Fortune-Teller, I will answer your question with "Yes, sometimes a soothsayer of one kind or another can give us a glimpse of the future." I don't believe the future is set; but present thoughts & circumstances are leading us in a certain direction. I have seen that some people uncannily pick things up, and there's no explaining it away as "generalizing" or "coincidence." In fact, it's happened to me: a random image pops into my mind, or it occurs to me to say something to someone that dovetails perfectly with some specific thing in their mind. But I'm not psychic; I think this happens to everyone, and we just dismiss it. I have gone to card readers who were clearly just trying to make some money and really didn't have any skill or talent in that area. I have also gone to readers (one didn't read cards--she said she read souls) who knew specific and unusual things about my life that I didn't know yet because they hadn't been revealed to me. The first time I went to the soul-reader, I thought I'd be crafty and take off my wedding ring so she wouldn't know I was married. I asked her, "Will I ever get married?" She answered immediately, "You're already married. You already have your Sagittarius." (And yes, my husband is a Sagittarius.) 1 chance in 12 she'd guess that right. That's the kind of thing I can't explain. I have been rereading Deborah Harkness's THE DISCOVERY OF WITCHES trilogy in anticipation of her new volume so maybe I am prescient. Whatever, I am looking forward to this new (to me) series. I have never had Tarot cards read but had my palm read at a festival and she was scarily accurate. Hi Atlanta. I hope you check out the series and thank you. Shall check out The Discovery of Witches! Palm reading is something else altogether...I'm going to look into that as a possible plot point. I'm another one in the Gigi camp - I suspect that tarot cards, along with other forms of prognostication, are useful in that they allow the person engaging with them to release the subconscious a little and tap into insights he or she already possesses. I had my cards read once by a talented amateur, and the most useful part was talking over what this or that particular card could mean as applied to my life. It was a bit like psychotherapy, but much less expensive! As for smudging, that's a religious ritual. I think me having an opinion on it would be like a practitioner of traditional First Nations beliefs weighing in on the validity of my communion wafer. Hi Julia, you're right on all counts! Thank you for stopping by and taking the time to comment. Like Julia, I am in the Gigi camp. I believe there are many methods that will help us get in touch with our own psyches. If Lucy weren't off eating chocolate and croissants in Paris, I'm sure she'd want to weigh in on this, since Lorenzo the Tarot reader is one of her series characters. And I can say that, having had my cards read by the real Lorenzo, it was a very interesting--and slightly unsettling--experience. I like the idea of chocolates and croissants! It would not take a psychic to tell me I had a sweet tooth (actually all my teeth are sweet). Love your humor, Judy. Cannot wait to read your books! Each blog reminds me of your fun, spooky books. Today at a new B& N will be seeing local MD mystery writers, Columbia, MD. Reading a MG mystery I recommend Ellen Oh's Spirit Hunters(book 2)" The Island of Monsters." Harper learns how to banish mean spirits and demons. Oh, I love this, Judy. I am fascinated by tarot cards and runes and all that jazz but I've never had a reading. We used to have a psychic shop nearby and my Hub had a reading done for an article he was writing for the local paper. He's braver than I am. I can't go to a psychic because I'm always afraid they'll lead with, "You might want to go home and get your things in order." LOL. I am really looking forward to checking out your series! Thank you Jenn. I hope you check it out! I went to card readers as a teen, but like you, I don't want to know what's going to happen (or not happen). I'm with you, Jenn! I don't want to have my cards read for fear that it would plant a seed in my active imagination! Ignorance is bliss in this situation. That's definitely a possibility Ingrid. I have both a fascination and a fear of tarot cards. I definitely think that there are people who are more sensitive to the vibes and energies coming off of other people, and that they can help you understand them, but I don't know if I believe a tarot card reading should be taken for absolute truth, and, of course, the readings are generally vague enough to support different events or directions in one's life. Debs, I had the real Lorenzo do a tarot reading for me, too, and I also found it unsettling. It wasn't that it was all gloom and doom, but it wasn't cheerful either. I think I'm way too susceptible to the power of suggestion to be a regular customer of such a practice. I think many of us have the ability to tune into our more psychic powers if we could relax our brain and body more. I know it's a small thing, but I used to be able to predict a package's arrival, as in, saying to myself that the package was going to arrive that day, and it did. I know, probably not anything special, but it was rather fun to be right about it. Years ago, my sister lived by a woman who could see auras around people's heads. Different colors meant different states of mind, such as blue being peaceful. However, she got greatly disturbed when she didn't see an aura because it meant that person was going to die soon. I was pretty scared when I met her and she "read" my aura. Thankfully, there was one and it was blue. Judy, congratulations on your new book. I just bought it for my Kindle. Oh, I'm so excited to have given you an idea, Judy! I should mention that those of you who have Kindle Unlimited, this book is free on KU! I am part Gypsy. My mother's mother was Gypsy and they were actually in a concentration camp because of it. So I look at things like tarot, palm reading, throwing bones, reading rune stones, etc. with a bit of a different view. (Smudging, yes by the way). Do I believe everyone that does these can actually see the future, absolutely not. I do believe that some people are able to get better readings on others, some can feel things, see things that others cannot. I believe there is no such thing as coincidence, that everything happens for a reason. I am also pretty religious. I believe spirituality is able to come through in these things. One thing I would never, ever, ever mess with - Ouija boards. They are true evil!! Voodoo is another thing I stay away from. This series sounds wonderful! Hi Kay, part Gypsy would definitely give you a different perspective. I agree, there is no such thing as coincidence, everything happens for a reason. I played around with Ouija as a kid, in a kid's way. Never done voodoo and no interest in going there! Thank you for commenting and I hope you check out the series.